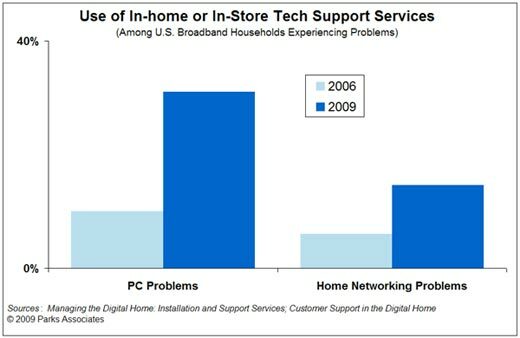 CEPRO.com has posted an article about how the tech support industry will grow to over $2 billion by 2013. This makes sense as more and more people start to use technologies that tend to be more complicated than that of the past. An example, with the newly announced HULU and ABC deal, people no longer just turn on a TV and tune to a two or three digit channel number, but, require software, computer and network knowledge to figure out how to watch shows. For the complete article visit CEPRO – Study: Revenue for Tech Support Industry to Hit $2B by 2013.